if chosen to add a personalised prop, what is the surname of the new baby? if chosen, what is the date you would like for your wooden prop? 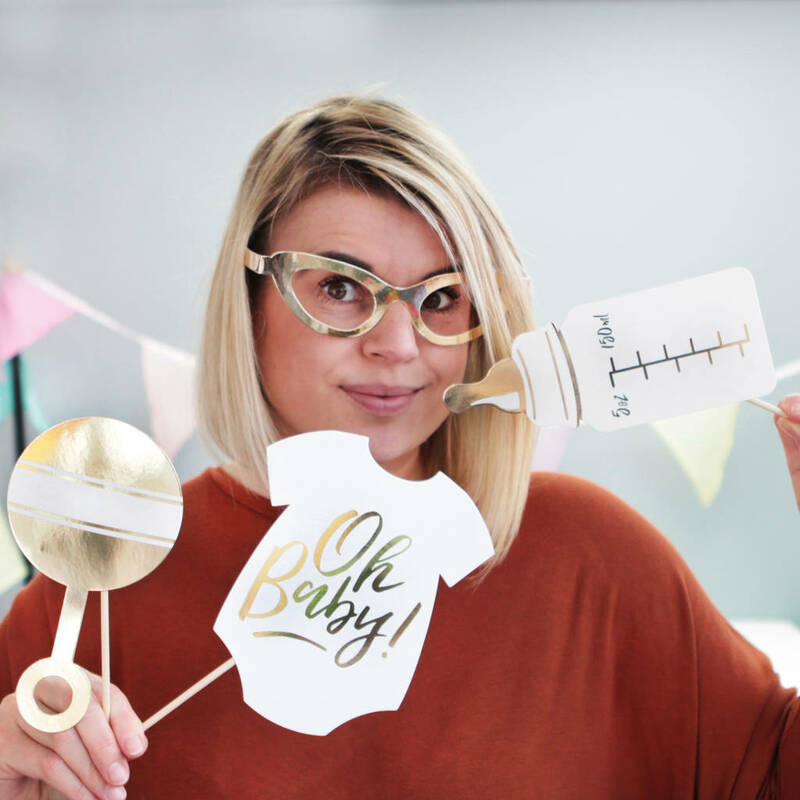 Grab a prop and strike a pose with bump and mum-to-be thanks to this bloomin' lovely set of baby themed props and optional wooden sign! 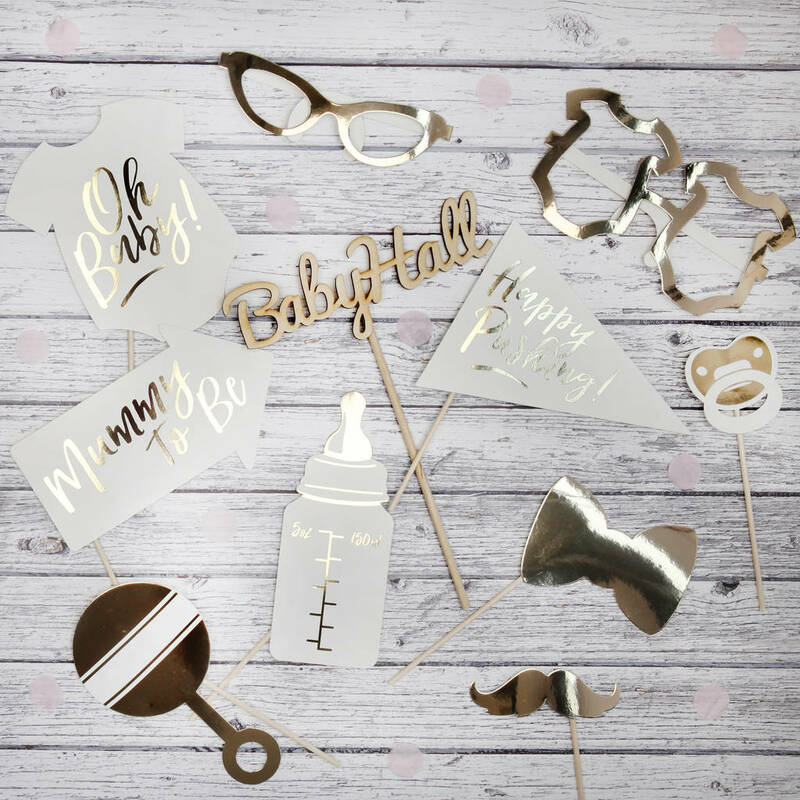 Capture all the fun and memories of a baby shower with these super cute metallic photo booth props! 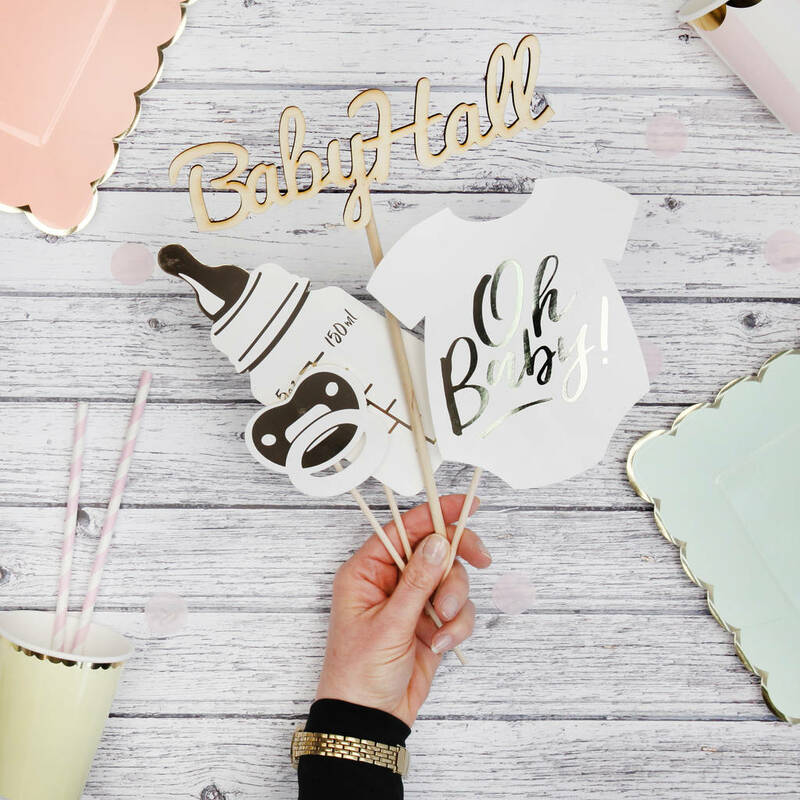 Whether there's a baby boy or baby girl joining the gang these props are the perfect addition to the party. Each pack contains 10 x gold foil and white photobooth props including: 1 x bottle, 1 x babygrow glasses, 1 x 'Happy Pushing' flag, 1 x bow tie, 1 x glasses, 1 x 'mummy To Be' sign, 1 x moustache, 1 x dummy, 1 x rattle, 1 x 'Oh Baby!' babygrow. Each prop is made from white and gold foil card and mounted onto wooden sticks. 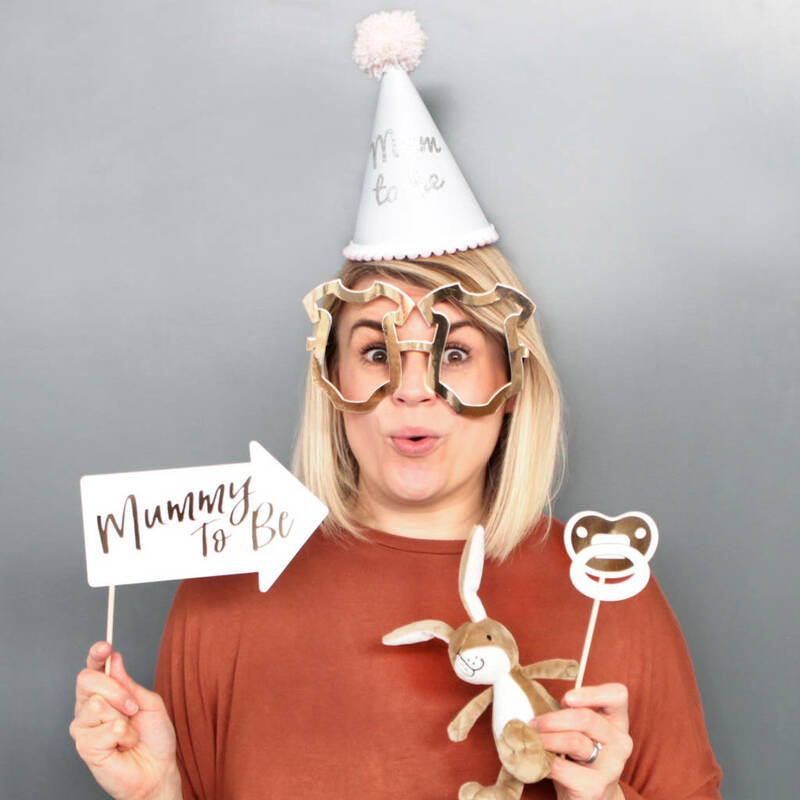 Why not add a personalised wooden prop and make your photos with mum to be truly unique! 10 metallic photo props per pack.